Pactron’s FX3 FPGA Dev board a Development kit for Cypress’s FX3 device has the next-generation Super Speed USB 3.0 peripheral controller at its heart. This powerful & compact development board is designed to interface with standard FPGA boards that have FMC or HSMC interfaces. The I/O voltage of the GPIF-II interface can be set to 1.8V, 2.5V or 3.3V using hardware configuration. In addition to taking the GPIF-II signals, the 120- pin expansion connector is also connected to I2C, I2S, Control Signals and power rails (+1.2V, +3.3V, +5.0V). This daughter card plugs into the 120-pin Interface connector of the FX3-FPGA Dev kit and takes the signals to an FMC connector that can plug into any standard Xilinx FPGA with an FMC interface. 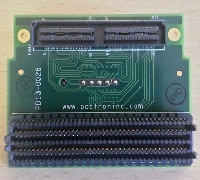 The GPIF-II signals are also taken to a Mictor connector on the adapter board which provides access to logic analyzers. This daughter card plugs into the 120-pin Interface connector of the FX3-FPGA Dev kit and takes the signals signals to an HSMC connector that can plug plug into any standard Altera FPGA board with an HSMC interface. 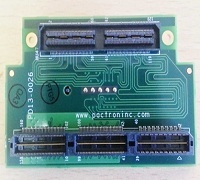 The GPIF-II signals are also taken to a Mictor connector on the adapter board which provides access to logic analyzers.